On August 5, Millennial Action Project partnered with Tufts University and the John F. Kennedy Presidential Library and Museum to host the first annual Future Summit. 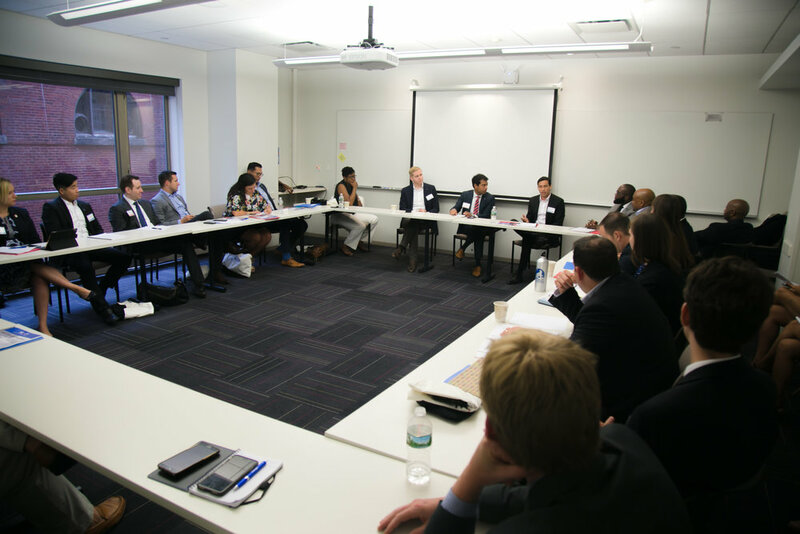 A bipartisan group of forty state legislators, hailing from more than two dozen states, convened with leading policy experts in Boston, MA for a day of connection, innovation, and collaboration on “next generation policies” affecting young people across the country. 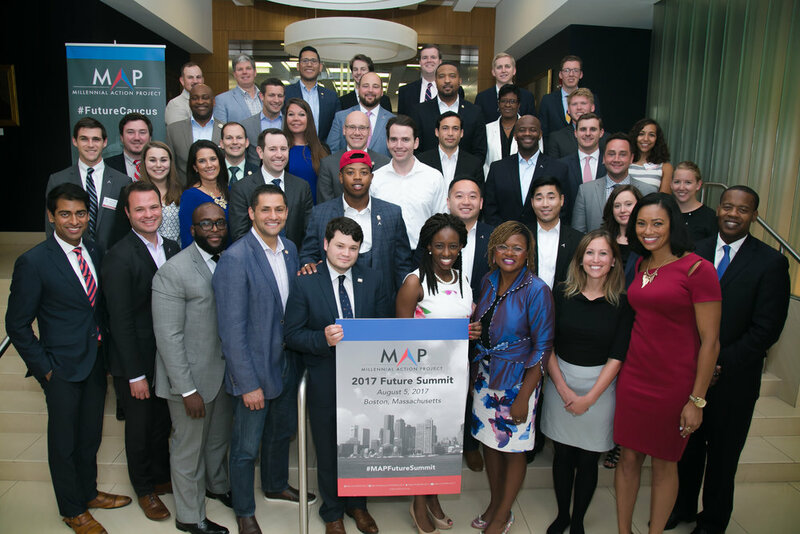 This event built upon the success of the State Future Caucus Network, a bipartisan community of young, innovative elected officials delivering future-focused reform at the state level. MAP has organized future caucuses in nearly twenty state legislatures, engaging more than 450 legislators, and expanding the network as a result of recent events. The Future Summit included a broad cross section of Future Caucus members and also attracted other young leaders seeking to further bipartisan achievement back home. The collaboration began with a breakout session that offered representatives the opportunity to revisit two fundamental aspects of American society; democracy and civic engagement. Only 47% of 18 and 19 year olds registered to vote in the 2016 election. With millennial confidence in democracy at an all-time low, legislators eagerly shared policy opportunities to jumpstart young people’s civic engagement by sharing the latest trends in redistricting, voter registration laws, and campaign finance reform. In a separate discussion, representatives took a deep dive into the transforming nature of work. Today, young people comprise more than one third of the nearly 54 million American workers acting as freelancers and independent contractors, and as such young legislators are uniquely positioned to legislate around these emerging industries. Each attendee brought their own perspective on how state policies are revolutionizing entrepreneurship and the sharing economy to the table and left with a thorough understanding of the existing policy landscape surrounding the new workforce. Legislators then sat down for a “Lunch and Learn” that featured top millennial voting and opinion experts John Della Volpe, Director of Polling at the Harvard Institute of Politics, and Dr. Kei Kawashima-Ginsberg, Director of CIRCLE. With MAP Chief Operating Officer Layla Zaidane moderating the discussion, the panel offered attendees a data-rich perspective on understanding the youth vote and encouraging youth civic and political development. MAP State Caucus Director Cherisse Eatmon followed up with a bill share discussion that allowed representatives to pass on successful policies and engagement strategies, such as the popular Millennial Town Hall hosted by the California Millennial Caucus this past June. The conversation continued with an afternoon breakout session focused on the 21st century challenges of green energy and higher education. The robust exchange of ideas quickly resumed, with senior policy experts from the National Conference of State Legislators steering the give and take toward bipartisan opportunities to create green jobs that better protect the environment. Meanwhile, in the higher education panel, representatives tackled the all-too-familiar challenge of rising tuition costs and student loan debt, with many speaking from personal experience. The breakout sessions created a truly remarkable space where traditional partisanship was put aside in favor of an innovative, bipartisan approach to millennial issues. These discussions reflected the millennial generation’s unique capacity to come together across state and party lines, and noticeably absent were the usual party monikers - “Republican” and “Democrat” - from the conversations.